Sports analogies dig deep into the heart of the American landscape. 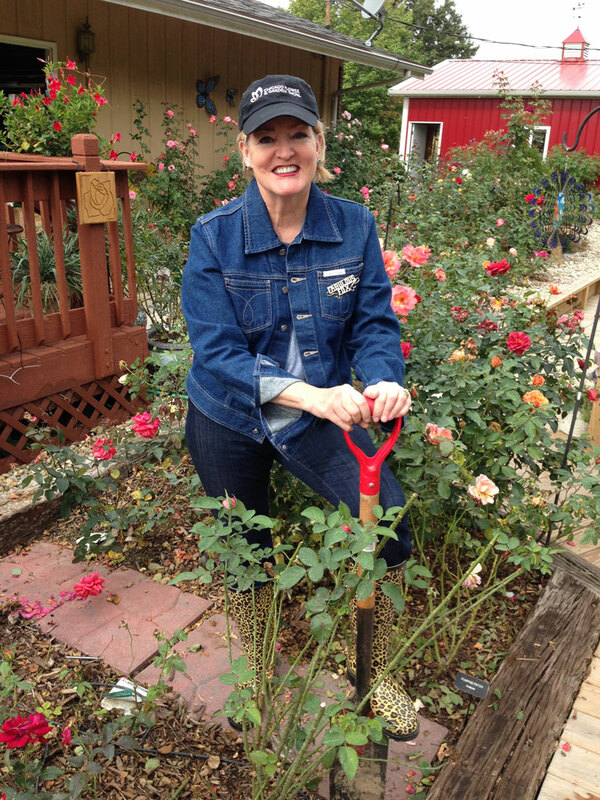 Rose gardening can be a tough physical sport. A helmet is my next gardening fashion statement. It shall coordinate with my leopard rubber boots. This fall, during an attempted shovel pass, I did a face plant into Ketchup & Mustard, (F), and took a direct hit by known dirty player Baronne Edmond de Rothschild (HT). Rothschild’s position on the team was questionable at the time due to lack of performance. Baron, a top draft pick due to his ARS league standing (8.3) in the 2014 ARS Handbook for Selecting Roses has been a bitter disappointment. Long, tall, leggy with an inconsistent performance record on this S. Central Illinois gardeners team roster, Rothschild is known for smacking players in the face as they walk by, repeated penalties and face-mask violations basically unprovoked. During this same hit I sustained a defenseless player low hit by Bolero (F) and Pumpkin Patch (F) as I smashed my head into the landscape timber resulting in a concussion. Injuries from this attempted shovel pass, or shall we say passing the shovel resulted in blood dripping wounds, quarterback removed from the field of play and out for several games. The visiting Team then needlessly ran up the score and brought banned substance weeds on the field of play. The end result is the Rothschild contract will not be renewed and he will be shovel pruned next season. His career on this field of play is over. While dazed and laying sideways on a landscape timber I pondered the flexibility of this guy that was nearly uprooted in the pile-up yet bounced right back to his usual shenanigans. This brings into play the discussion that is raging in the sports world about whether low hits may be more injurious to a player than the upper body which are usually more protected. Of course that is if one is wearing a state of the art helmet. Roses that “make the team” and into our gardens are usually selected pre-season based solely on their “agents” pitch. The stats for new entries in your field (garden) and on your team are many times no more than speculation by the “sales rep,” their agent, the growers and sellers. You, and the buying public are presented with slick bios, glamorous, perfect pictures and romantic write-ups via catalogs and sales brochures of promises of performance with a product that has been mostly tested, especially a new rose, by the sellers/growers themselves. 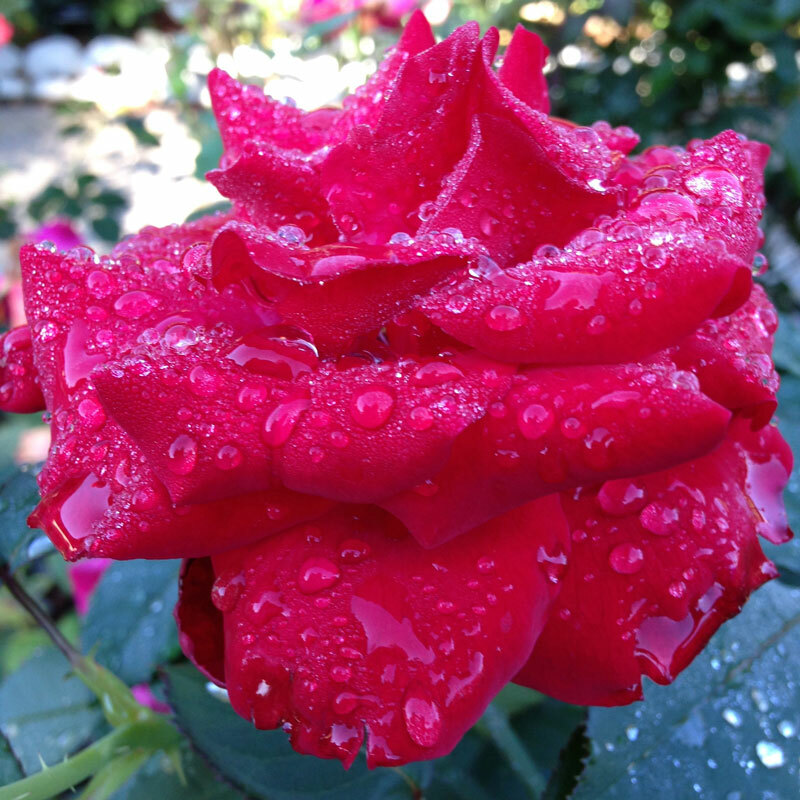 The American Rose Society does have a rating system developed by rose gardeners that submit their ratings of roses that I follow closely for good reason in the Handbook for Selecting Roses* however, you see that system has its element of discovery. Look no further than Baronne Edmond de Rothschild for proof. It’s still rated 8.3, which qualifies it by this system as “a very good to excellent rose.” There are many factors to consider when looking at a “players, ” (plants) performance, such as conditioning, fitness for your climate and care. Many times a “player’s” performance can be traced back to “coaching staff” (gardener) or conditions on the field, and handling but many times it’s the “player” (plant) itself we can look to for performance and the quality of the grower and seller. This is important especially because roses are expensive and you have a tremendous time and emotional investment in them. I want your Team of Roses to be a Team of Winners. Here’s this Seasons Fantasy Picks for the 2013 growing Season in plant hardiness zone 6b. I’ve also grown every rose except Opening Night in Texas zone 8 with great success. Opening Night, HT first year in this Illinois garden looks like a pagoda draped in rain. This rose is rated 7.8 and was a stellar performer this year. 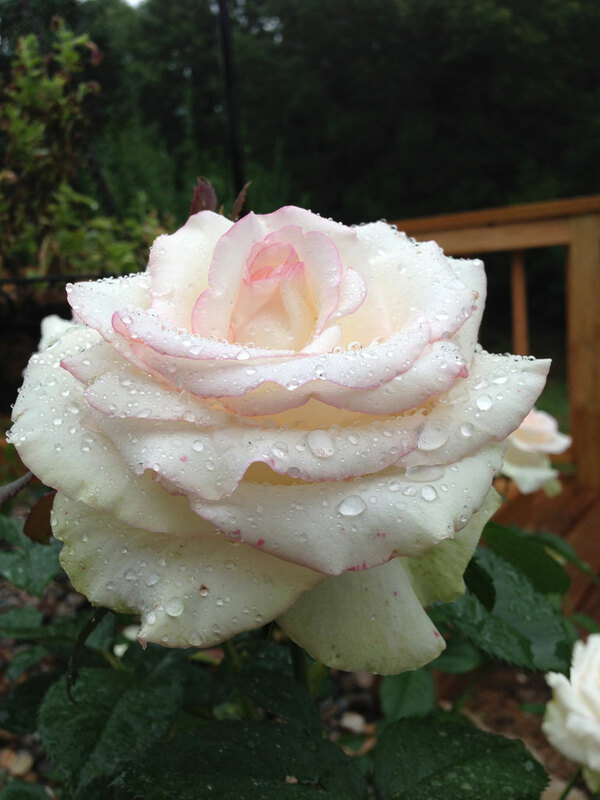 Moonstone, a hybrid tea is consistently winning in rose shows across the country. 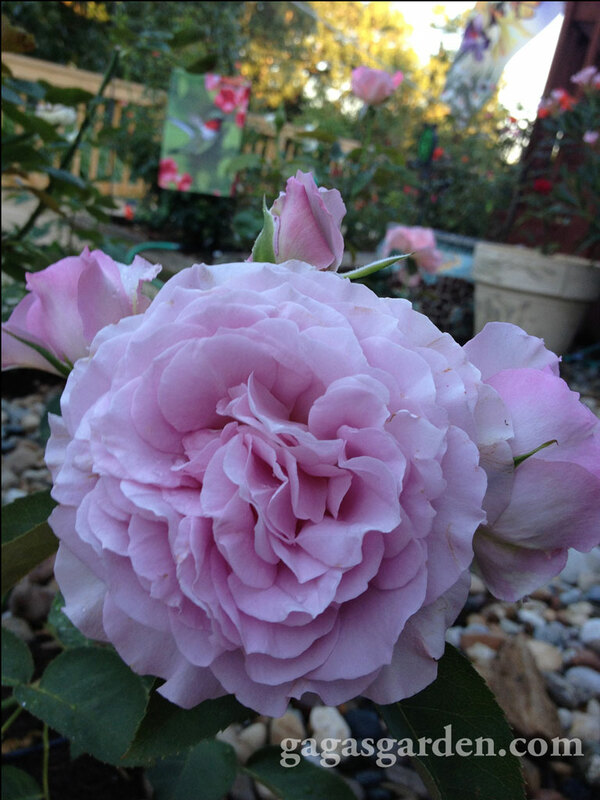 Again a first year rose, it is a beautiful cornerstone for this Illinois garden. White roses light up your garden at night. 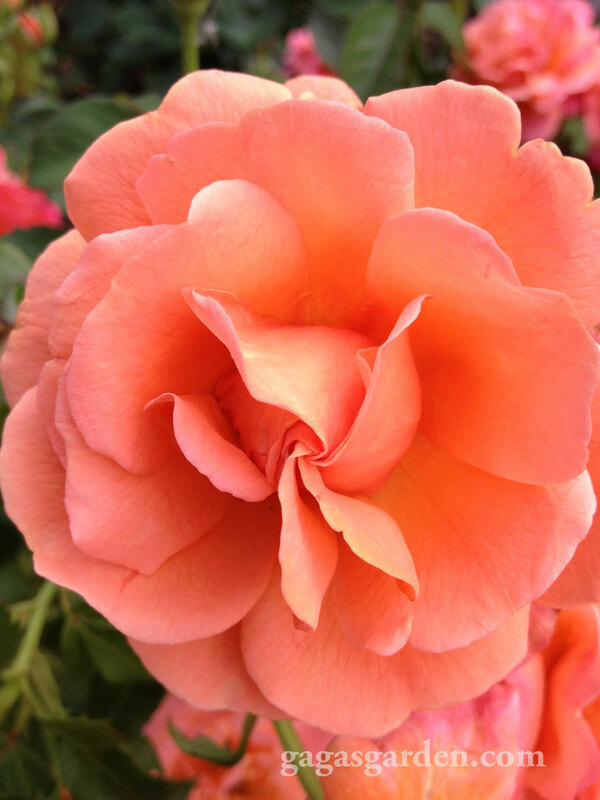 Rainbow Sorbet, floribunda is true to its name. It offers a rainbow of colors as the buds open and continue to change in colors. It is a consistent bloomer. The profusion of blooms and bloom cycle is amazing. Love Song is a new rose heavily promoted because folks like lavender and purple roses. It is pretty. It bloomed heavily in the first of the season and did slow done. Lets see how it winters. I will be reporting back to you because as I said roses are expensive and blue roses can be tender to cold and boy oh boy this rose has been promoted! 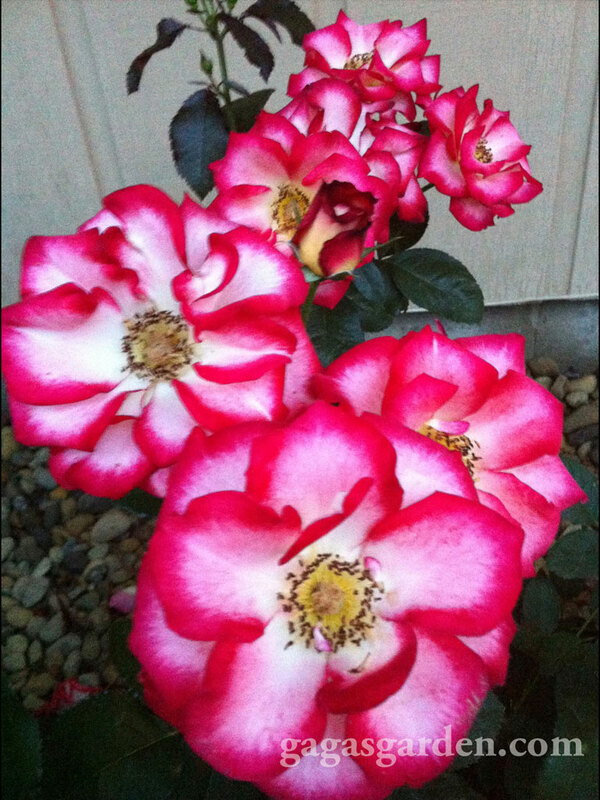 Betty Boop, is a floribunda that blooms and the blooms seem to last forever. I really can’t say enough good about this little rose if you like roses in your garden for bloom cycle and profusion of blooms. However I have not seen a single rose that has lasting characteristics like this rose except Charisma. Last but not least is the season’s All Star, Easy Does It. This rose wins for profusion of blooms, disease resistant and bloom cycle. Here are two Brian Vickery articles that are my favorites. You are in for a treat. I dedicate this gardening sports analogy to Brian Vickery and Gini Dietrich who I hope will get to watch a football game this week-end and it looks like Cutler is cleared to play. Brian, I have a special request, as a fellow #Cowboys4Life fan maybe you could write an article about thoughts on Jerry Jones going back to the sidelines, hmmm? And I didn’t mention our football friend Margie Clayman because she said the Cleveland Browns broke her heart. Our teams do that sometimes just like our gardens. Perhaps Sean will not be roping us into marketing studies and laundry and do what real Americans do. Watch football, laundry and garden. *The American Rose Society Handbook for Selecting Roses is free to members and available for $5.00. Every rose I purchase I look up the rating of the rose first in this book always. Yes I am fine! I know you are in heaven with that beautiful grand baby! Can’t wait to see more pictures! OH SUSAN … I’m loving that Rainbow Sorbert! 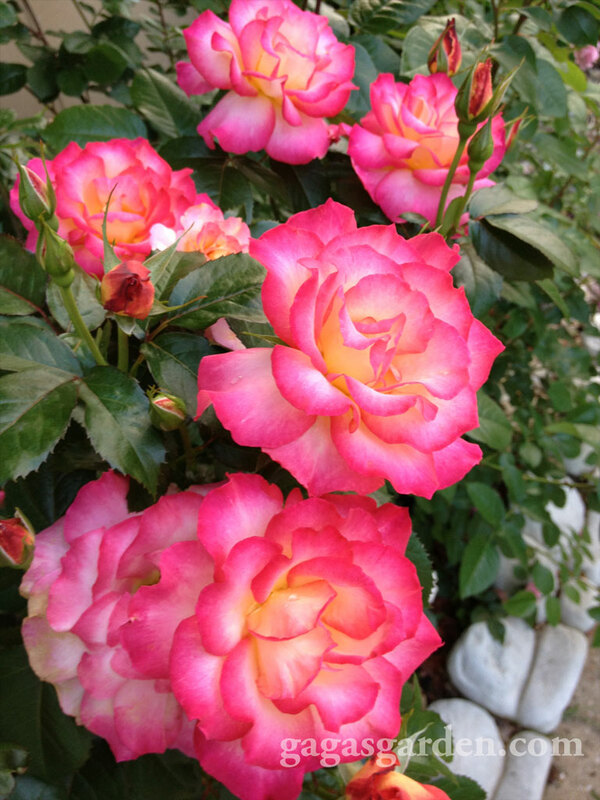 LOVELY share … you always brighten my day with your rose gardens! It can only be fraction of the joy you bring everyone with your delightful, generous spirit and sharing of your garden, Miss Boo and beautiful gourmet food shots. Its an inspiration to all of us who love the earth and all of its bounty. We appreciate all you do.